Who is taking a strong stand on standards none other then David Banner and his good longtime friend 9TH Wonder? 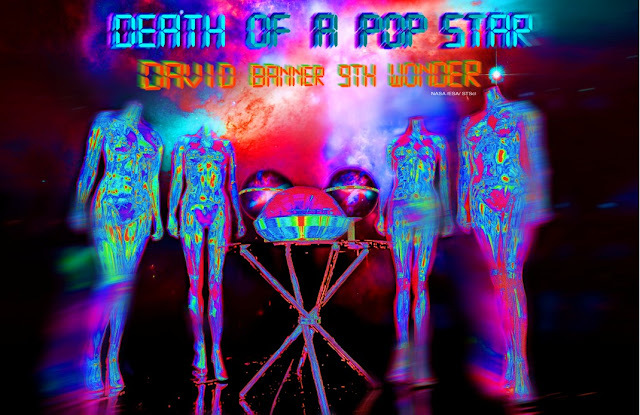 "Death Of A Popstar" is the album of the decade and from the snippets that fans have heard we are not ready but so appreciative of the movement! David Banner has joined forces for the first time with 9TH Wonder to bring out the music the game has long for without the "Political stress" of the machine! We recently saw the direction this album was taking with the release of "Slow Down" which featured Core Models own Marquita "Ms. Hollywood" Childress herself. The video is a deeper look into what we can expect, however it's the lyrics that draw you in making you pay attention! David Banner made some very thought provoking statements in his above discussion of "Death Of A Popstar" I hope your listening! This is a movement that needs to be stood by, many of us have lost focus and even have lost our appreciation for the music we are rooted in deeply! However it's not just a movement it's a mind opening chance to change the way we listen, react, and live! So this is just a taste of what's to come, and the artist have already started to follow suite and support the amazing efforts of these two well accomplished men! This discussion was held at 92Y TriBeca also please be advised of the language! However you can't help but feel the passion behind this movement, and applaud however it's not just about supporting vocally but physically with the actions to promote change! Many of us have can help but don't and now is the time to do what we can with what we have! So go out and support "Death Of A Popstar" and do something positive in your community no more complaining if your not willing to WORK!